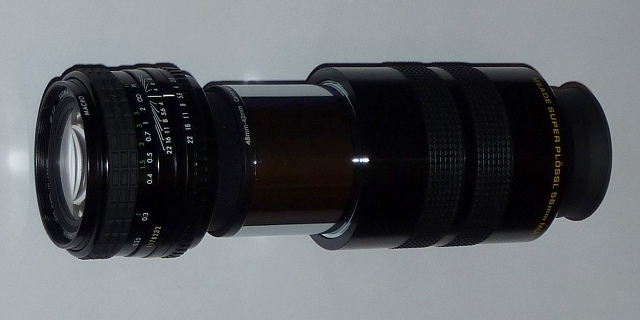 I was looking over lists of achromatic lens sets that are available, and the specs of EPs, thinking about how wide a FOV was practical with regular telescope eyepieces (not Galilean optics, for example). To get the widest FOVs with a given EP you need the shortest focal length for the objective, subject to the constraint that the focal ratio does not go so low that the exit pupil exceeds some value (say, 6 mm). This tends toward small objectives to hold down the FR while reducing the FL. But what is the practical limit? If the objective is smaller than the field stop for an EP, what happens? Do you just get a dim image (due to the small aperture)? Does some sort of vignetting occur? Edited by careysub, 13 February 2019 - 10:36 PM. What you get is a lot of field curvature..
Now, can we establish some sort of reasonable guideline for how l-o-o-o-w can you g-o-o-o? I attempted to answer my own question by breaking out my copy of "Telescope Optics" and have read every page referenced in the index under curvature or "field curvature" and am none the wiser about this issue. I could extract no guidance about practical limits. I think practical experience will be the only effective guide (without someone who is real expert in optical design and visual optics). Is more limited by FR or FL? To put a few pegs in the sand - wild-field binoculars can have FL of 140 mm, and I have one optical system, a Lumicon so-called Super-Finder at F/3.72. Are those marking the practical limits? Are there other limits involving the EP FL interacting with these? I also see that there is a Orion 4x21 Super-Wide Angle Binoculars with 4X magnification, a 72 deg. AFOV EP for an 18 deg FOV. Don't know the FLs, but would hazard a guess that they are 64 mm and 16 mm and are thus about an F/3. So that is possible to get up to 18 degrees, with a very small objective (21 mm), but what constraint does that place on the EP? What have you tried that was too much? Edited by careysub, 14 February 2019 - 12:56 AM. Yes one would tend to get vignetting if the aperture is less than the eyepiece field stop. Ultimately how wide is kind of a relative question- how wide with X aperture at 6mm exit pupil, etc. As demonstrated one can apparent get 18 deg with binos. Finderscopes usually give 6-7 degrees, more for the smaller, lower power ones. Telescopes with enough aperture for DSO study generally can get up to 5 degrees or so. Think NP101 with a 31 Nagler. An AT72 could go even wider, but it isn’t really a serious visual scope. So it just depends, is this AP or visual, are you wanting a large FOV to sweep the star fields or hunt down DSO for closer observation, etc. For the last week, driving to work has been a relative question. Like 90% of Seattle I live on a hill, but I drive a Subaru so I don’t have an excuse for not being at the office. Edited by SeattleScott, 14 February 2019 - 01:29 AM. I haven't seen one yet where the aperture of the objective was less than that of the maximum field stop of the eyepieces compatible with the focuser. The maximum I have briefly tested was a 55 Plossl with 46mm field stop in an AT60ED f/6 for 6.55x and a whopping 9.2mm exit pupil. There should be increasing levels of vignetting for steep (fast) light cones passing through the draw tube and clear aperture stops of the diagonals, as well as the barrels and field stops of long focal length eyepieces. And sub f/4 optics with extreme field curvature as well as steep light cones won't play nice with most eyepieces either. Those Orion 4x21's are fixed focus. Per the manual: "The binoculars feature a convenient permanent focus design. No focus adjustment is required when viewing objects, sports and other targets within the range of distance noted in the binocular specifications." The specs don't actually say what distance they are focused for, only listing a near focus distance of 32 feet. They don't appear to have diopter adjustment. I have mild myopia, so it is hard for me to imagine using binoculars like these for astronomy. Visual only. It is a quest to find the ultimate combination(s) of aperture and magnification to sweep the star fields. One thing about being a wide field fan is that the optics are small and mostly pretty cheap, so it invites a lot of experimentation. The 6 mm pupil is an important constraint - it does not good if I can't see it. Granted all your comments about light cones are valid, but not really a problem, just an additional constraint on the usable EP/lens set combinations to consider in optimizing the designs. But the point about curvature seems to be the critical factor, but I am unable to quantify it. Where are the limits? Well, I will find out about the Orions in a few days, as I just ordered a pair. It may well be useless for astronomy but they will at least be an interesting example of wide field optics. I might take them apart to measure the lens FL for real. I'll report here what I see when I get them. a 30mm 82 deg wide eyepiece is about the largest thing physically possible in a 2" focuser, as the aperture stop uses teh whole 2" tube. an 80mm f/5 APO would have a 400mm focal length, so with that eyepiece would give a 13X magnification, and about 6 degrees actual field. a 60mm f/5 APO would have a 300mm FL, so 10X, so 8 deg. 50mm f/5 would have a 250mm FL, so 8X and 10 deg. not sure you're gonna get much wider than that with conventional optics. Actually, the 6mm exit pupil is an artificial constraint with a refractor. You will still see the full field even if your pupil only dilates a few millimeters. What your pupil actually does is restrict the effective brightness of the image, same as if you use a medium or large exit pupil eyepiece during daylight. If you want maximum image brightness use an exit pupil equal to or greater than what your own pupil will pass. Anything less than that reduces image brightness...although it increases scale. Now scale is typically more beneficial, but there are circumstances where max field or max brightness (and particularly both) are a more important consideration. And richest field applications are exactly the sort of circumstances where this matters. This is one of those things I didn't understand or appreciate until the past two years. Again, it is the field stop that matters. The 30 ES82 claims a 43mm field stop and a 31T5 Nagler has a 42mm stop. But the 55 Plossl and 41 Pan both have 46mm field stops. These latter will have larger fields of view. The formula is: TFOV = field stop in mm * 57.3 / telescope focal length in mm. - The radius of curvature of a refractor is approximately 1/3rd the focal length. Using Pythagoras, the focal length of the telescope and the field stop of the eyepiece, one can calculate the amount of shift in focus at the field stop and or any point in the field. FC = ((FL/3)2 - (FS/2)2)1/2 - FL/3 where FC is shift in focus, FL is the refractor's focal length and FS is the field stop of the eyepiece or diameter of interest. If one then wants to calculate the diameter of the defocused blur, then that is Blur = FC/Fr where Fr is the focal ratio. - This is pretty good sized in short focal length, fast refractors, ie binoculars. In a 50mm F/4 with a 24mm SWA, it's about 1.4mm with the blur being about 0.35mm in diameter. - In addition, the eyepieces in the binoculars I can afford are not Panoptic quality so the combination of field curvature and astigmatism means not sharp across the field. - As far as the field stop being larger than the objective diameter, I don't really see a problem with that. If the objective were a pinhole, it seems to me you should still see the entire field of view. Yes one would tend to get vignetting if the aperture is less than the eyepiece field stop. I'm fairly sure that is not true. It typically doesn't happen with most optical setups one might use (I mean it is uncommon to have the field stop large than the aperture). You will get a very minor drop off of the light level off axis....but that is just that the light is entering the lens at an angle which means the aperture is operating at a very slightly smaller effective aperture. But that is not vignetting as most people understand it. Edited by starcanoe, 14 February 2019 - 07:00 AM. 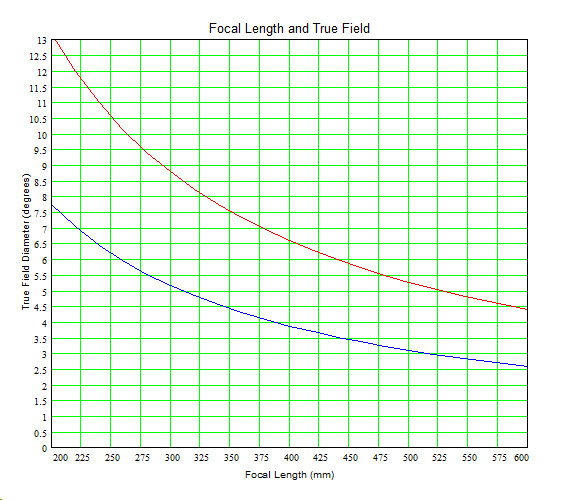 Widest true field for 2-inch (red line, 46mm field stop) and 1.25-inch (blue line, 27mm field stop) eyepieces with 200 to 600mm focal length objective. Absolutely correct. You can have vignetting and still use the entire FOV, just with some drop off in brightness at the edges. Many newts are designed this way, and this is common with 8” SCT or 6” Maks that use 2” eyepieces. Technically there is vignetting occurring but most don’t find it troublesome. So good clarification. Yep. What you are trying to do is really the province of 7x50 binoculars or NV eyepieces. 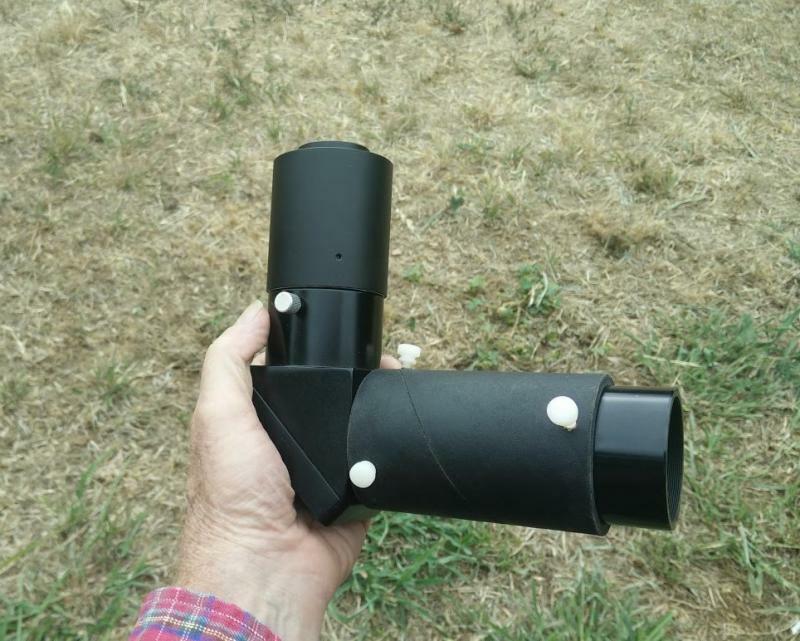 The lowest I have gone conventionally was a StellarVue Sparrowhawk finder scope (50mm f/4) with a 13mm Ethos. FC was noticeable, and I never bothered with it again. And in binoculars, the standards for "sharp to the edge" seems a bit looser than what telescope users consider "sharp to the edge". Conventional bino objectives (e.g. leaving aside the extreme design of the Orion 4x21) do go down to F/3.5 in small diameters (35=50mm), so F/5 is not a limit per se, though it is a reasonable ratio to keep you out of trouble. I am looking though at finding where the trouble really starts (and why). Which is sufficient to make it a real constraint. I have seen this case presented before, and it is valid if you have photons to burn, true only on bright objects, of which there are few. I have expereince with this issue. I bought a pair of 63mm "bright-field" binoculars, that an exit pupil of 7mm. I was disappointed with their performance, their brightness was identical to a pair of 50mm I had with the same magnification and FOV. I did not benefit from the extra aperture at all. I would not design an optical system that threw away photons, even if you can do that in a pinch. Thanks. this is setting me up correctly. I thought there was a relationship like this, I had not quite worked it out as you have. I can start crunching numbers and comparing to real world results. You last point about the pinhole nails the aperture issue. As the Sage of Springfield says "D'oh!" I see no reason for any vignetting simply because the field stop is larger than the objective. Think of the pinhole case. Could you expand on what you mean by "NV" here? One point is that night vision astronomy often involves very large objects (Barnard's Loop, 10 degrees) so very large fields of view are needed for that 1X device to hook in to. I can get up to 6.5 degrees with my ST-80 and ES 100 25mm EP. So NV is connected with wide field quest. Yes, very low, very wide is what I am looking at. And yes, the normal "sharp edge" does go by the boards in this pursuit. My 2.1x"28" Galilean binoculars have no field edge at all. You see what you see, and how you can position your eye is the ultimate limit. Edited by careysub, 14 February 2019 - 01:48 PM. I believe NV is "Night Vision." You DO get some light fall off....but it is virtually trivial amounts for angles of a few degrees off axis...and I doubt it is what most people call vignetting...and it is because the effective aperture/area is very slightly reduced because the light is coming in at angle...probably a function like the cosine of the angle.....and this light fall off HAS NOTHING to do with the field stop being larger than the aperture. It has to do with how far off axis you are imaging. No...the light fall off I am talking about is different from what you are talking about. The light fall off off axis is the same for a refractor, SCT, reflector, or just about any other imaging system where NOTHING past the entrance pupil is restricting ANY "light flow". Think of a plate with a hole in it. Imagine the light entering the hole is coming it at 90 degrees. How much light is getting in. Now imagine the light coming in at 45 degrees. How much light is getting in? Imagine the light coming in at almost 0 degrees...almost sideways...how much light is getting in? It IS an effect. But for angles of a few degrees it is trivial amount and.....again...it is NOT what most people think of when you say vignetting. Edited by starcanoe, 14 February 2019 - 07:26 PM. Your ultimate theoretical endpoint is 135 degrees at 1x -- looking up at the night sky. Anything else will be approaching that theoretical limit (14x, 10x, 8x, 7x, 6x....1x). Wide field is very much linked to magnification or the lack of it. Actually I suppose you could use negative magnification and get the entire 360 degrees projected in front of you, but the effect is weird. The engineering constraint in terms of cost very much hinges on whether one wants color correction and the fast focal ratio. The Orion 80mm ED f/7.5 is $500 their 80 mm f/6 is $950. Yes it's carbon fiber but it pretty much illustrates how maintaining color correction shoots cost up as you reduce focal ratio. Below f/6 tends to be Petzval (televeu) or similar (Pentax 125, four lenses) territory though I think Astro-physics pushed the boundaries with the original f/5 Stowaway, but they never went back. Some people like Jon Issacs thinks the f/5 Petzval wide field is the cat's meow, a view I respect, and that those of us who get by with f/6.3 or f/6.5 (let alone f/8) are mere pikers in wide field enjoyment. This is truly an aesthetic judgment. As far as I'm concerned anything at 20x or lower in commercially available scopes with 2" eyepieces is wide field but some people say it's not wide field till you're down around 10x. You can shrink focal ratio in achromatic designs and decreasing magnification and aperture helps, and cost is not prohibitive--which is why a pair of non-ED binoculars can be pretty good. Not as good as apochromatic swaros but pretty good. And so the achromatic designs are available from $50 to $500, within that, some are much better than others. Much hinges on how much you think you *won't* be having wide field views with your theoretical wide field scope. The best wide field views are in the Milky Way and the Milky Way is not up all night when it is up and it is not up every season of the year. There are some nice views to be had outside the Milky Way but you're thinning the herd of potential objects. One thing for sure, the more you shrink your focal ratio the harder it is to maintain "reach" into the upper magnifications and the more expensive it is to do so and maintain apochromatic correction. An f/8.1 FS128 gets to 300x with a .43 exit pupil. An Astrophysics GT130 requires a .33 exit pupil to get into the same territory. That may not sound a like a lot but a 25% reduction at these tiny radii has pretty noticeable effects in terms of pushing the organic limits of your eye. So if you like razor sharp 300x views in a 5 inch apo you need to keep in mind that you are "buying" the difference between 25x (the FS128) and 20x (the GT130) at the low end with a noticeable shrinkage of exit pupils to get equivalent high magnifications in the zone of 200x to 300x. So the "limit" as far as I'm concerned is how much you want to take a telescope out that will be handicapped when it comes time to look at objects that require some magnification. It's not just planets. There are planetary nebulae and galaxies which only begin to show to advantage, and in some case even become visible at all, at 50x, 80x, etc., in 3 to 5 inch apertures. Even more for teasing out double star separations. I have two personal views. One is that wide field views of 2.5, 3.5 degrees on up are pretty d*mned good and that it is worth sacrificing some wide field at the low magnification end to have more options at the high magnification end. For the very low magnifications I reach into my trunk and pull out--binoculars. I've pretty much decided I don't want five and six degree fields in my telescopes. The other personal view is that the development of highly corrected refractor optics using specialized glass has popularized the idea of "how low, how wide can you go" as a kind of astro-limbo game where we bend as low backwards as we can in terms of native astigmatism and field curvature tolerance in our eyes in order to squeak under an ever diminishing focal ratio. And part of the game is digging ever deeper into our purses for ever increasingly expensive glass and exotic designs to achieve that goal. For myself limbo is a game I leave to the kids and in a sense I feel that the ultra wide views are best left to the younguns who have the curvature accommodation and lack of astigmatism that many of us oldsters lack. But even the younguns, assuming they have the budgets for high end optics, may find that there's a limit to how "low they can go" in terms of having a versatile telescope that can split a close double at high powers and also offer a "wide" field--however defined. Owning an achromat taught me that I don't really want a cheap scope "just for low power views." I invariably want more performance out in the field. Edited by gnowellsct, 14 February 2019 - 03:15 PM. Me too. That is why I do not depend on just one scope to cover all my needs. For some objects, an ST-80 with a 2 inch focuser is more effective than the NP-101. My hand held 50mm F/4 with the 2 inch diagonal provides a 20 degree TFoV at 10x with the 21mm Ethos. The eyepiece and the diagonal cost over $1000 new, the 50mm F/4 was made out of a cardboard tube and a finder lens I found in the parts box. It is horrible viewing the planets but where else can one find 10 degrees at 10x? That's really the issue isn't it. Do you want to sweep star fields in 60 mm or 150 mm? In 60mm you get a broader area to sweep. In 150 mm you'll see more stars per arc minute squared because "seeing deeper." Its a 24mm focal length F2.8 camera lens attached to a 56mm Plossl. Gives about a 45 degree apparent FOV at just under 0.5x. So True FOV is over 90 degrees. Being a camera lens the FOV is nice and flat and sharp to the edge. No need to focus as the eyes accommodation is more than sufficient. Seriously though, any camera lens could be used in combination with a nice ultra wide field eyepiece to give practically any magnification / True FOV you desire. We are totally on the same page here then. Your 50mm/F4 is exactly the type of WF viewer I was thinking about cooking up. I have the 20 mm ES100. The EP is fungible and not really a cost in the device if used for other things (like it is). I will put one of these together. I have a 50mm objectives in F/3.5 and F/3.65 and I can try them. *I have wanted one ever since reading a lyrical description of the Virgo Supercluster as seen through one in the "Backyard Astronomers Guide"